Ailing Snap continues to lose money, but it’s showing signs of making a comeback. The social media company on Tuesday reported record revenue of $390 million in the fourth quarter, up 36 percent from a year ago. The company, which has never recorded a profit, reported a loss of nearly $192 million for the period, down from a loss of $350 million in the year-ago quarter. Digital advertising revenue is rising, driving growth for the company as it develops new products for advertisers. Brands can now load product catalogs onto the app and add non-skippable commercials to Snap’s premium content. While Snap announced that Lara Sweet, the chief accounting officer, would take over as interim CFO, Stone’s exit has led to questions of stability at the tech company. Snap’s star has fallen after being among the hottest tech initial public offerings of 2017. After first going public in March of that year, the social media company’s stock has slumped nearly 60 percent to trade around $7 per share. Stiff competition from Facebook and Google, which dominate the online advertising market, has squeezed Snap’s ad revenues, while its user growth stalled amid the increasing popularity of Instagram Stories. Snap said Tuesday that it had 186 million daily active users, down from 187 million a year ago. An unpopular redesign of the app last year and heavy investment in new products, including glasses for taking photos, also alienated both users and investors. “We rushed our redesign, solving one problem but creating many others,” CEO Evan Spiegel wrote in a lengthy memo to employees that was obtained by Cheddar last October. Key challenges for Snap include adding more users, boosting ad revenue and reducing spending. That will require grabbing more of the ad market or increasing the number of ads on its app, Jonathan Kees of Summit Insights Group said in a research note. 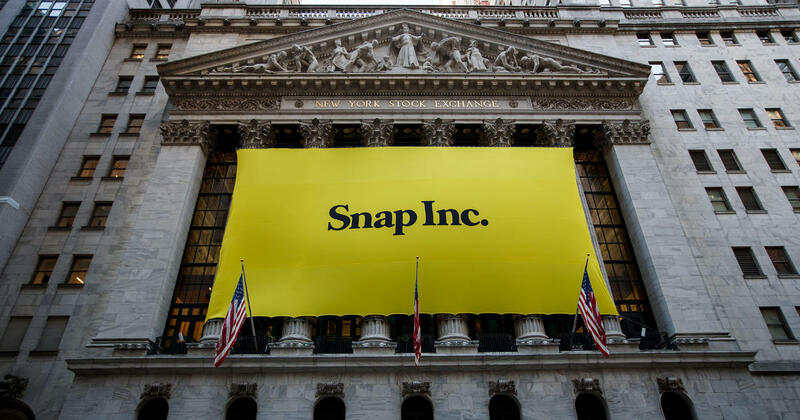 “Snap has shown in the last few quarters that it can do that,” added Ali Mogharabi, research analyst at Morningstar.